Is anything more underrated than German black metal? No other country seems so good at putting out interesting, thoughtful black metal that pushes the genre boundaries without violating them. I’ve been aware of mysterious five-piece Farsot since their debut IIII in 2008, yet neither that nor 2011’s Insects gave the band the attention and approbation that they deserve. It can be pleasant, as an (amateur!) music reviewer to discover a band, but it’s also hugely frustrating when only you seem to love them. Still, all I can do is recommend, and on that basis it’s a pleasure to recommend Farsot, back with a pleasingly atmospheric third platter of their moody metal. That strikingly creepy cover art fits the album theme of the battle of the sexes well, and the unnerving laughter that opens first track Vitriolic is equally as effective. 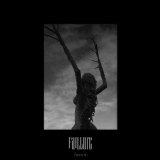 Perhaps straying a little further from the purity of their genre than before, Farsot are something like Enslaved-meets-Agalloch with some Dornenreich-esque neofolk mixed in. A thinking man’s band, they're happy to allow their songs lengths of over eight minutes which reward relaxed, headphoned listens. Fail·Lure is as much atmospheric as it is progressive, and is very free of the usual shrieks 'n' satanism – Farsot here are slower, more reflective than angry, often moving steadily towards post-metal territory with some doom and even Celtic Frost-influenced experimentation (Triptykon’s V Santura produced the album, and did a great job). That’s not to say the black metal elements are minimal; aforementioned opener Vitriolic initially takes a stern, blastbeat-backed path through forests dark with clean chanted vocals amidst the snarls to superbly eerie effect. That it opens up around the mid-point to prog-tinged melodic meandering doesn’t lessen the impact, nor does the variety that the band indulge in (the whispers that open Circular Stains are terrific for example, why don’t more black metal bands use whispered vocals?) that is always well-integrated into the songs and never feels out of place. The Burzumic keyboards and mournful shrieks in With Obsidian Hands are another highlight, soon followed by jagged riffing that could be from a recent Enslaved album and a perfectly measured post-black proggy instrumental section. In a way, that repeated Enslaved comparison is Farsot’s biggest drawback – tracks like Undercurrents make it especially hard to ignore, and the comparison isn’t always flattering to the Germans. The influence is far more notable here than on their previous albums which is enough for me to rate them higher, as much as I do like the Norwegians. Yet these moments are in the minority, and Undercurrents itself soon moves onto more original-sounding material, as does the following The Antagonist, slower and almost gothic in its darkness. The post-black moments probably reflect the band’s future direction, particularly closer A Hundred to Nothing which starts interestingly but goes nowhere and does nothing interesting thereafter. Not quite as good as their previous albums, then, but Farsot are still a band very much worth your time.